The T6S borrows its spoke profile and general design cues from the highly successful Kojin and adds a sixth spoke to achieve an aggressive, yet subtle appearance. 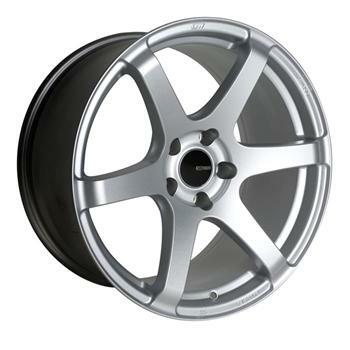 The T6S comes standard with Enkei’s signature flat center cap, and is available in 17 and 18 inch. The T6S is also built using Enkei’s original MAT technology to achieve the ultimate in strength and light weight.